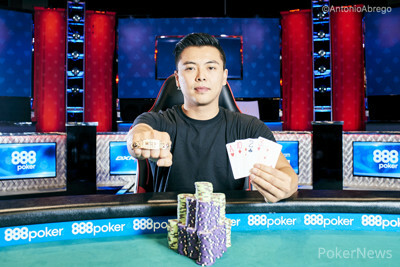 Tommy Le triumphed over a final table which included two-time bracelet winners Scott Clements and Jason DeWitt among the 428 total entries in Event #54: $10,000 Pot-Limit Omaha Championship at the 2017 World Series of Poker, bringing home $938,732 and his first bracelet. 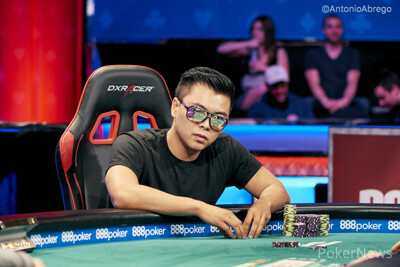 Prior to this victory, Le had reached the final table five times in pot-limit Omaha events at the WSOP but only made it to heads-up play once, when he finished second in the $25,000 PLO High Roller to Jens Kyllönen. Le also finished third in this event last year and fifth in the $1,500 PLO just a week beforehand. Once all was done and dusted, the entrepreneur from California was delighted. “I don’t play poker for a living, but at the same time I am not bad at it," he said. "You could say I am a tough fish. I am strong fish." Day 4 play started at 1:00 p.m. local time on Saturday, and the first elimination of the day was Miltiadis Kyriakides, who finished in eighth place when Scott Clements turned a set of sevens to crack his aces. Next to go was Twitch streamer Murat Tulek, who fell in seventh when Hani Mio turned the nut flush against his flopped top two pair. Former November Niner Eoghan O'Dea was eliminated in sixth when he got his stack in preflop with aces against Mio's kings, and Mio spiked a king on the flop. Jason DeWitt departed in fifth place when he flopped top pair and the nut flush draw against eventual champion Le's set of threes and didn't catch up on the turn or river. The fourth-place finisher was Scott Clements, who fell when his pair of aces ran into Mio's turned flush. But Mio's deep run in this tournament came to an end next when his fives and threes came up short against Le's aces and threes, eliminating him in third place. With Mio's departure, the rail grew a little more subdued. 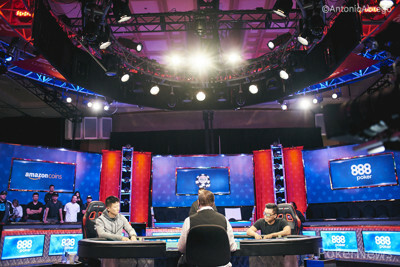 Each of the remaining contenders had a relatively small but dedicated core crew cheering for them from the stands, and among Le's supporters was PLO bracelet winner JC Tran. 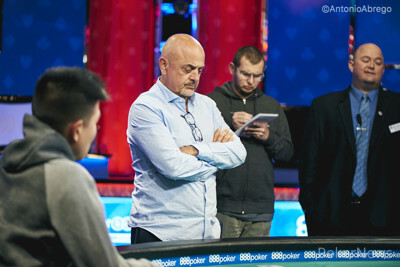 Le started with better than a 2:1 chip advantage and extended his lead by 1,200,000 on the first hand of what turned out to be a fairly short heads-up match. 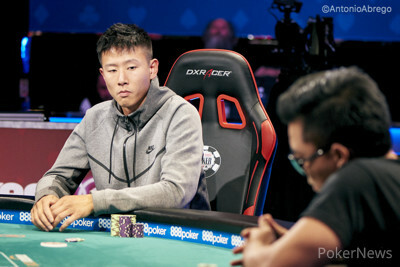 After only about half an hour, it all came to an end when Chris Lee got his chips in on the flop with bottom two pair against Tommy Le's top and bottom pair, and the board runout changed nothing. Now that this event has concluded, there's only one remaining pot-limit Omaha tournament to be played at this year's WSOP, the $25,000 Pot-Limit Omaha High Roller, which begins on July 5. Be sure to check back here to follow the updates for that event and the remainder of the 2017 World Series of Poker from the PokerNews Live Reporting team. Tommy Le raised to 900,000, and Chris Lee called to see a flop of . Lee checked, and Le continued for 1,000,000. After careful consideration, Lee moved all in and was called instantly. Lee had flopped bottom two pair, while Le had the better two pair. On the turn, Lee picked up a few more outs, but a blank on the river failed to improve him. 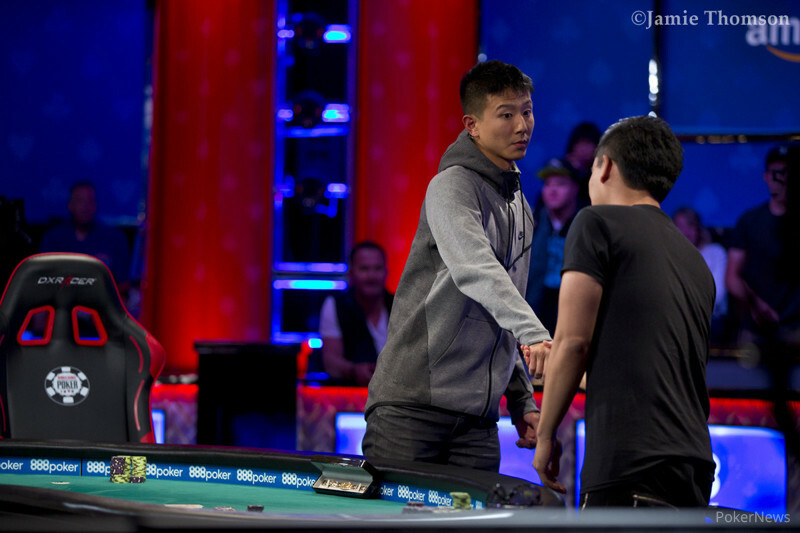 All the pressure fell from Le, and he shook hands with his opponent before embracing his rail. Lee received $580,177 for his efforts, missing out on his second bracelet, while Le finally joined the club of bracelet winners after shaking that monkey off his back at his sixth Omaha final table. A recap of today's action will be available shortly. Chris Lee raised to 900,000, and Tommy Le folded. Le limped the next hand, and Lee checked. On the flop, Lee checked and called a bet worth 400,000. Le called and fired a second bet on the turn worth 600,000, which Lee check-called once more. The river was checked down, and Lee announced a flush before tabling . Le mucked, and Lee picked up the pot. Then, Lee completed, and Le checked. On the flop, Le bet 400,000, and Lee folded. Chris Lee called from the button, and Tommy Le checked his option. The flop came , and both players checked. The turn brought the , and they checked again. The river was the , and Le announced a pot-sized bet of 600,000. Lee folded, and Le took the pot. Tommy Le raised to 900,000, and Chris Lee called. On the flop, Lee bet 1,800,000, and Le folded. Both players took one big blind each by raising to 900,000 the ned two hands, and Lee said, "That was a really nice call man." Le limped in, and Lee checked. On the flop, Lee check-called a bet of 400,000 before the turn was checked. Lee bet the river for 1,400,000, and that won the pot. Last but not least, another limped pot saw a flop of , and Lee check-called a bet of 400,000 by Le. The turn went check-check before Lee bet the river for 400,000. Le made it 1,200,000 to go and forced a fold. Chris Lee raised to 900,000 from the button, and Tommy Le called from the big blind. The flop came , and both players checked. The turn brought the , and they checked again. The fell on the river, and Le checked. Lee bet 1,200,000, sending Le into the tank briefly. He called and tabled for a pair of sevens, which was good enough to win the pot against Lee's . In the first hand back from the break, Chris Lee raised the pot from the small blind, and Hani Mio folded in the big blind. Mio limped the second hand from the button, and Tommy Le raised the pot to 1,200,000 in the small blind. Lee asked Mio for his stack, which was slightly more than Le's raise, and called in the big blind. Mio moved all in for 1,325,000 in total, and both opponents called. The two remaining active players checked down the board of , and all cards were tabled. Mio's fives and threes were no good, as Le had aces and threes, eliminating Mio in third place for a payday of $397,836. There will now be a short break to set up the heads-up duel. Le will start with a 2:1 lead over Lee to battle for his first Omaha bracelet after five previous final table appearances.